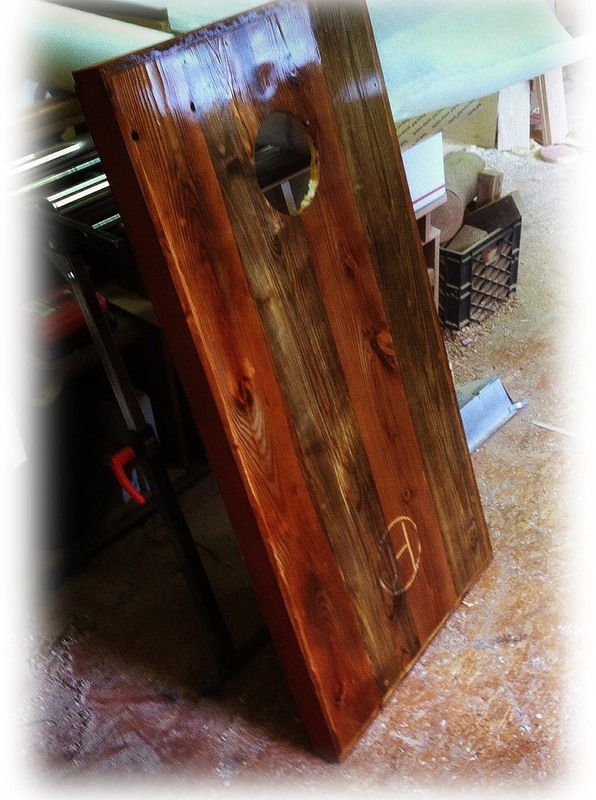 The first Game Board I made was back in high school shop class. I made a (pretty lame) chess board. 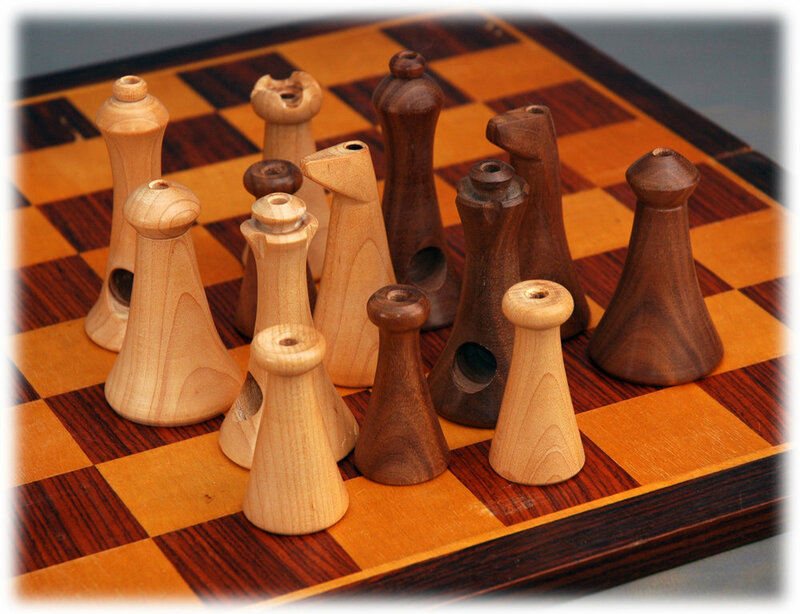 Since then I have made lots of chess boards, scrabble boards, wooden cards for a high-end Monopoly game, Mancala and Bao, corn hole boards, marble races (not really a game, but similar), and lots of sliding puzzles. boards The first chess board I made after beginning ShopDog Turnery was to assist a friend who, for his first turning project, undertook to turn a chess set. Eventually it came out very nice, and we made a board with full wooden hardware and drawers to hold the pieces when not in play. See it below. 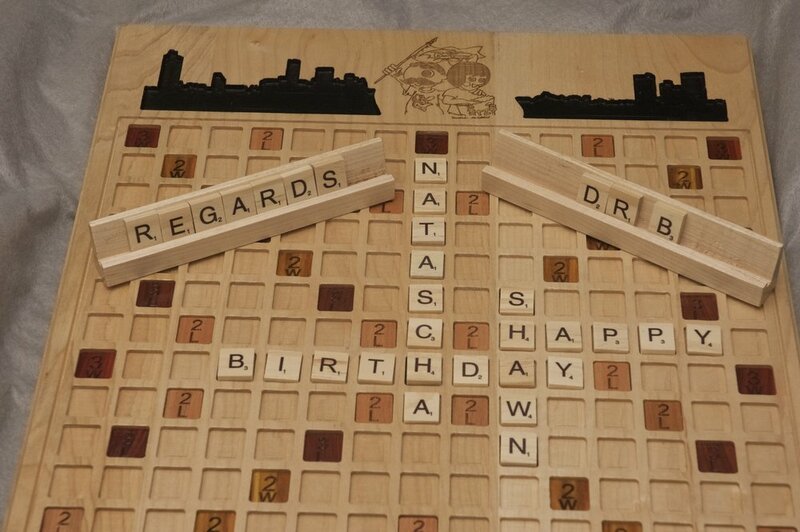 The first Scrabble board I made was created as a birthday present for a former student, with the Baltimore Skyline, and Bo and Utz characters placing the board as an homage to Baltimore. His Birth date is engraved at the bottom in Roman Numerals. The board is from hard maple with inset cells for the tiles. Each cell is half the depth of the tile so tiles can be easily removed and replaced. The Extra Point cells are routed deeper than the others and inserts of different woods are added to provide the coloration difference normal to a Scrabble board. One of these items is not a game board, but is a display case for a set of historic coins. Since the techniques are similar I put this here.